Winner of the 2016 David Russell Bach prize, Bin Hu offers a fresh look into guitar transcriptions of Bach’s solo violin works. With exquisite sensibility and expressiveness and by the use of scordatura and a careful programming, Bin Hu gives personal and captivating performances of Bach’s Prelude from the Partita BWV 1006, the Sonatas BWV 1001 and 1003, the Chaconne from the Partita BWV 1004 and the Sinfonia BWV 156. 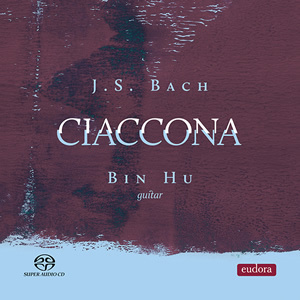 Eudora presents an SACD of Bach&apos;s music called "Ciaccona", played by a youngish guitar, Bin Hu. But Bach never played the guitar! However, during the C19th, musicologists reviewed many Baroque manuscripts, with Bach’s in particular. Instruments were also re-considered. It is not surprising that guitar players are attracted to Bach’s music, considering how well it works on the instrument. Everything we play now is transcribed from other instruments. Most of the Bach we hear on guitar is taken from the following sources: Cello Suites (6), Violin Sonatas (4) and the Chaconne, Lute Suites (4), keyboard works and the odd cantata. Most transcribers make decisions about what notes to leave out, range, key signatures and in the case of the cello suites, which notes to add. Different transcribers will make different choices and editions of the same piece. For the guitar, transcribing and also applying scordatura (altering the techniques of altering the normal tuning of a stringed of an instrument to particular effects) are employed. Guitars provide some legendary figures whose works were published by legendary figures such Tárrenga, Llobent, Barrios, Segovia, Bream, Williams and Lorimer. Of course, as well these published transcribers, guitarists can arrange their own arrangements; such is Bin Hu’s sections in the booklet, where each title is like this: “Sonata BWV 1000: Manuscript, Structure and Transcription”. Every section is discussed between Bin Hu and Kath Acosta Zavala (herself a guitar player and knower of Hu), and this makes considerable interest for booklet readers. Certainly Bin Hu produces a very well organised Bach Transcript programme, beginning with the Bach "Prelude", Partita BWV1006, together with Sonata BWV 1001, and Sonata BWV 1003, together with Chaconne, from the Partiita BWV 1004 (the longest piece of all, 14:31). Finally comes the lovely Sinfonia BWV156, making a time of 62:24. Bin Hu was born in Tianjn, China, and had started music at 11years in the first classical guitar school in China. Then his study preceded to Beijing, ending with Jiajiong Li, Central Conservatory of Music. Hu is the currently working Doctor of Musical Arts degree at the University of Arizona with Professor Tom Patterson. Hu&apos;s music-making continues all over the world; working as solo guitarist, chamber musician and soloist with orchestras; he is also much required in teaching and playing, and through this work his own talents are expanded. Following sessions on regard of Baroque performances, Hu won the "2016 David Russell Bach Prize". Russell, also the judge, remarked about Bin Hu that Bin&apos;s performance was powerful and convincing; among the best performances. A touching photo at the Booklet centre is informative of Bin Hu as the working guitarist playing solely in the Auditorio San Francisco. Bin Hu chooses guitars made by Andreas Kirmse, who was born during 1981 in a small village in East Germany, and since 2003 has focused on building instruments, particular acoustic guitars. 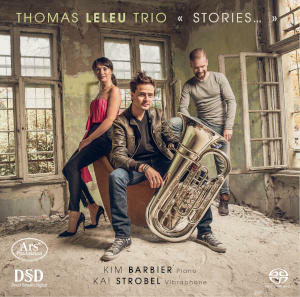 His guitars play very well, and of course Kirmse adjusts the actions to the player’s requirements, as does the recording engineer in Auditorio San Francisco. Most of Bin Hu&apos;s sound for this when using a Kirmse is a touch of sonic sharpens which produces most of the clarity assigned in the output. 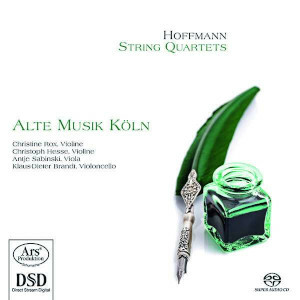 Other is from the Chaconne Partita BWV 1004 (more rounded, with deep resonance added towards the end), and Sinfonia BWV 156 (smooth, intimate; nostalgic with memories). Hu also uses these Kirmse devices to add warmth and smoothness to make some very soft sounds elsewhere in the programme. For Recording Data, as the Eudora booklet tells us, there is a Producer and recording engineer, Gonzalo Noqué, who deals the Sonodore and Schoeps microphones, merging a Horus microphone preamplifer, AD/DA converter and Amphion speakers. 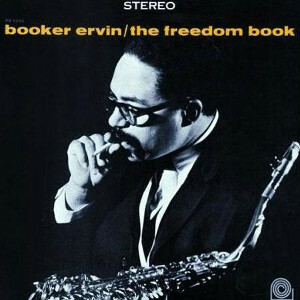 The original Format was DSD256 (11.289MHz) and the sound version is 5.0. Kathy Acosta Zavala and Bin Hu provide information to the SACD listener. I have very little much to say about the acoustics; "intimate" and "realistic" sum up the feeling of Bin Hu&apos;s seeming presence in your room. Just right! 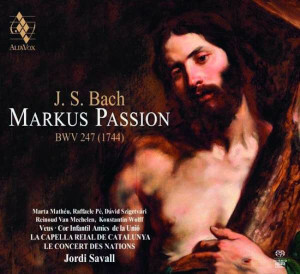 Already I have listened to three of times of this SACD, which has convinced me that Johann Sebastian Bach still can give us his music, even if it is by transcription! Guitarist Bin Hu has assumed the essence of Bach’s writing, and this invites you to get this fine SACD. I think you will find it offers very much satisfaction. This doesn&apos;t read like John Miller&apos;s usual reviews. Was it written for him by a non-native English speaker? Something not right anyway.